Pakistan is in the line of fire of international conspiracies in respect of its stability. In the East extremist Hindus have waged war in the form of unprovoked firing over Pakistani areas adjacent to border while in the West previously it was Afghanistan which has been joined by Iran as well in the unprovoked shelling over Pakistani posts with the allegation that terrorists enter from Pakistan for terrorist activities in Iran. US and Allied forces in Afghanistan and India blamed Pakistan for such activities and propaganda campaign is still going on while the irony of the fate is that Pakistan is the only country of the world that has been facing the war of terrorism for last 12 years. Army GHQ, headquarters if intelligence agencies, training centers of Pak Army, airports and convoys of armed forces all are on the target of well trained terrorists. From guest of cricket team to places of worship, educational setups, markets and even health workers involved in Polio eradication campaigns have not been spared by the terrorists. Thousands of innocent men, women, children and early have become target of terrorists while they were busy in shopping or prostrating in places of worship including soldiers of armed forces. Painful aspect is that whole game of terrorism was played in the name of imposition of Shariya and Islam. 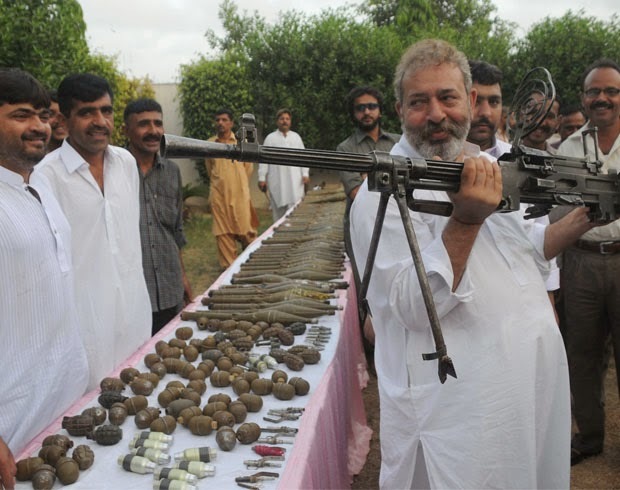 No one from Pakistan and International media questioned the source of modern weapons for terrorists pricing in billions of dollars and training of guerilla warfare to the terrorists. Whenever any big terrorist attack was carried out in Pakistan, why attitude of Pakistan’s neighbors (on both sides) and USA was praising (attackers) rather sharing sorrow of effected families? If we look in such practice than it would not take much time to identify anti-Pakistan powers. 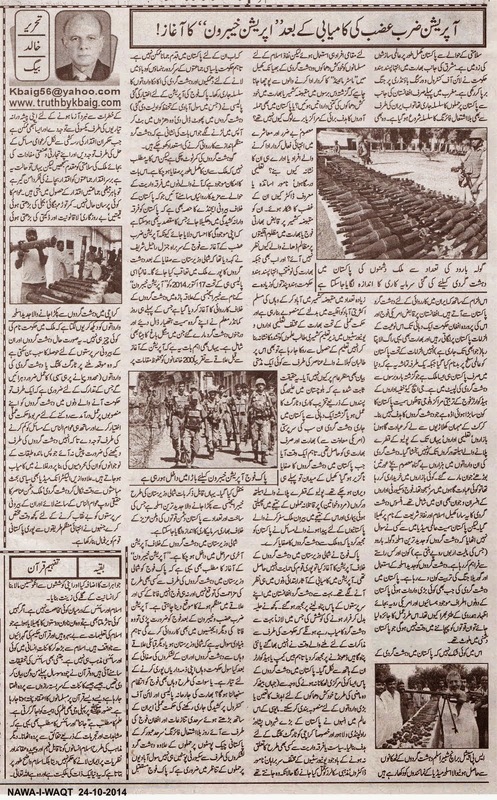 There is no doubt that locals were used in these terrorist activities but Master Minds planning and brain washing locals for terrorism should be asked that how many suicide bomb attacks were carried out in India or Indian Held Kashmir or why the target of these suicide attacks in Pakistan were no the places involved in spreading the vulgarity and social evils in the society? Why only innocents, scholars, teachers, educational institutions, and other govt. departments (especially LEAs) are the target of terrorists carrying out their activities in the name of Islam? Why did not they attack Indian soldiers in Indian Held Kashmir or extremist Hindus of India involved in crimes against humanity over minorities? Even now when newly elected extremist govt. of India is working on the plan to neutralize the Muslim majority in Indian Held Kashmir by inhabiting extremist Hindu goons under the garb of Hindu Pundits and closing doors of education over Kashmiri students by torture over Kashmiri students studying in different Indian universities or colleges, why did not proponents of Islam known as TTP (Tehreek Taliban Pakistan) have not issued even any statement to condemn such practice of Hindu extremist govt.? This is an undeniable fact that target killing in Pakistan through BLA terrorists or Baloch insurgents have the support of only and only India with the approval of USA. But the time came when it became inevitable for Pakistan to take action against terrorists; playgrounds have been already deserted due to terrorism while increasing diseases due to attacks over health workers have increased problems of Pakistanis willing to travel abroad. Pakistan army launched operation against terrorists in North Waziristan with the full support of nation and with the day first of the operation the success of the operation was clearly predictable. Majority of the terrorists fled to Afghanistan to take refuge from their master minds and supporters while other tried to evacuate from the area in the garb of internally displaced persons in which many would have succeeded as government’s policy for negotiations borrowed them time to find hide outs in other cities of Pakistan but with the start of operation they lost their headquarters and means of coordination and communication. In such a state of pessimism they carried out terrorist activities in big cities of Pakistan targeting Vice Chancellors of different universities, renowned doctors, scholars and religious figures despite of being aware that it would not be possible for them to establish a stronghold in Pakistan, however, in order to pressurize govt. the series of terrorist activities was carried out. 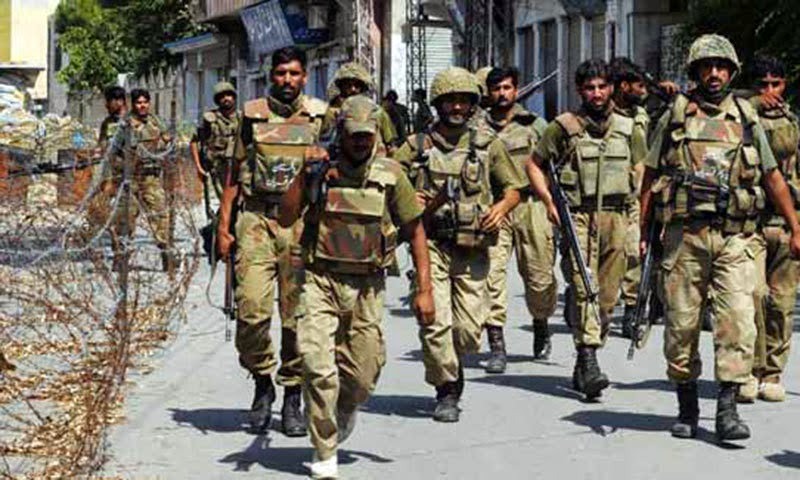 The policy of Pak army for operation based upon the protection of local population at all costs divided terrorists in different groups which is evidence that they have lost capability to carry out any well coordinated terrorist activity. Although the back of terrorists have been broken but this does not mean that Pakistan had been cleaned of all the terrorists. There is probability that in the near future Pakistan may have to face terrorist activities under the garb sectarianism which is a part of the plan to push Pakistan in sectarian warfare or to realize their presence. Chief of Army had already made it clear that after operation against terrorists in North Waziristan they would be chased and crushed everywhere in Pakistan. Perhaps this is the basis of Operation Khyber-I launched on 17 October 2014; on the first day of start of this operation Commander Mualim of terrorists had surrendered while dozens of terrorists have been killed including the son of the Mangal Bagh. Important element of the operation is the evacuation of the locals to safe places that consisted of more than 200 families. 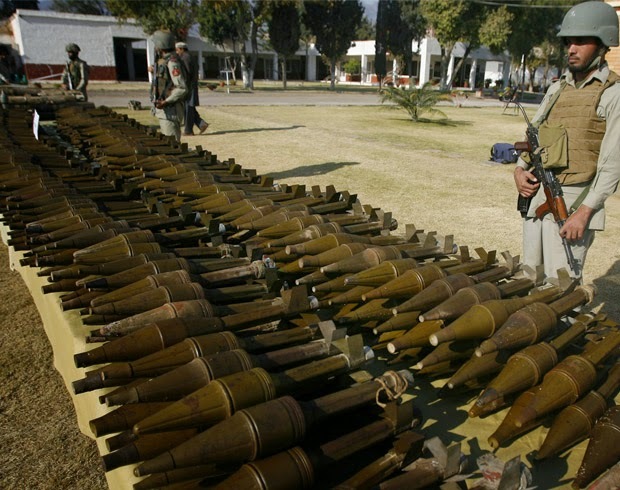 The made and amount of modern and lethal weapons seized by the Pak army in Khyber like North Waziristan tells the story of heavy investment of enemy against Pakistan.